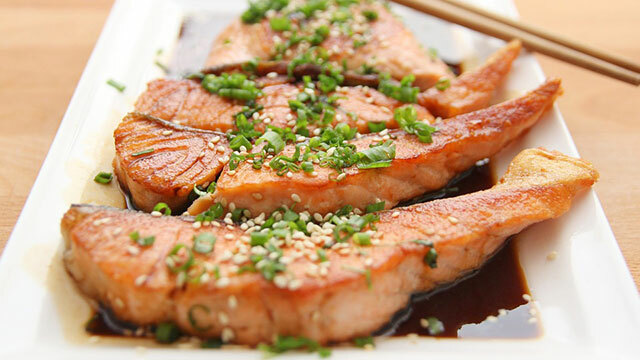 An easy to make Asian-fusion inspired salmon recipe. Pair with some broccoli or a side salad and you have yourself a tasty dinner! In a bowl, mix all ingredients except the salmon. Put salmon in baking dish. Cover salmon with liquid mixture and marinate for 4 hours in fridge. Remove salmon and put on baking sheet lined with parchment paper. Bake at 425 degrees for 15 minutes.